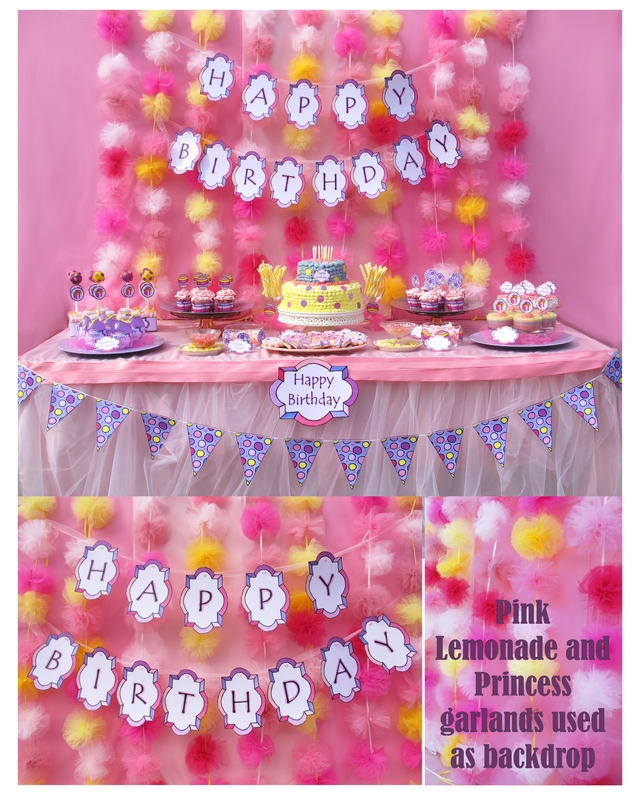 They would be so awesome for any kind of girl birthday party, but especially if you have a little princess or you are one yourself. 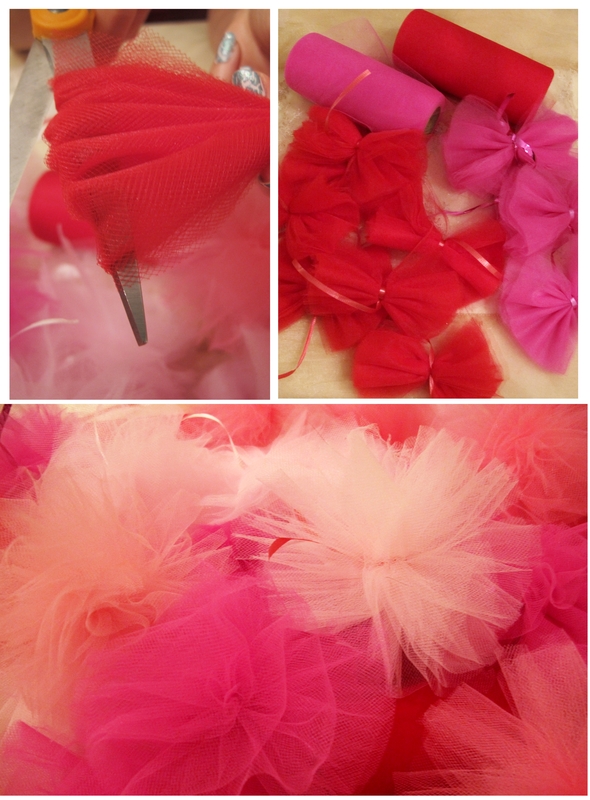 Ok, enough pictures of the finished pom poms, let’s make them…. Cut the end off and remove the cardboard carefully. 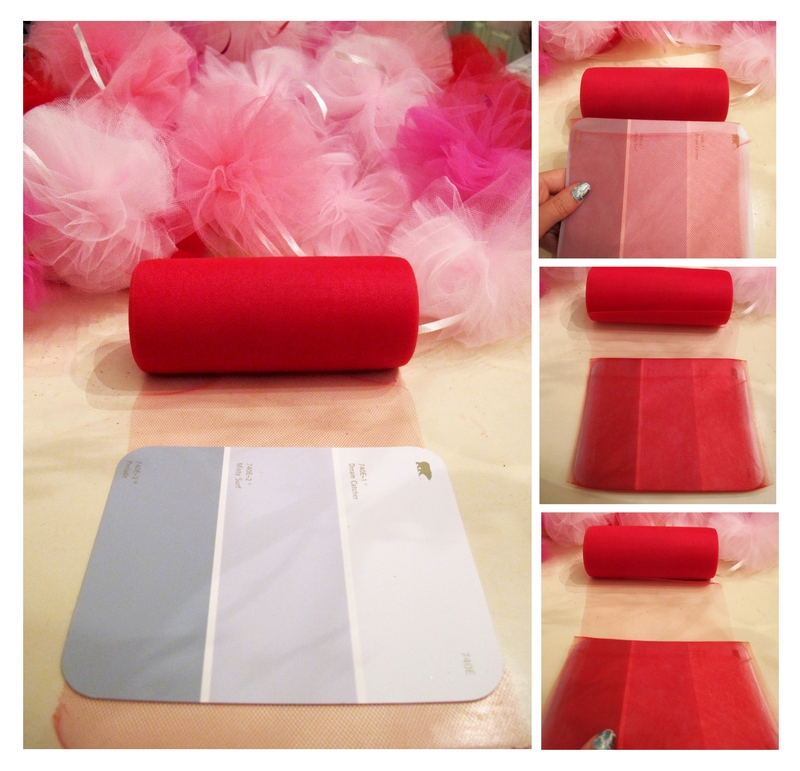 If you make a bunch of pom poms, I suggest making each step together for all the pom poms rather than going back and forth and finishing each pom-pom one by one. We had quite a stack of cardboard-tulle squares at one time… Pinch the sides together and tie with a ribbon or twine to make little bow ties. 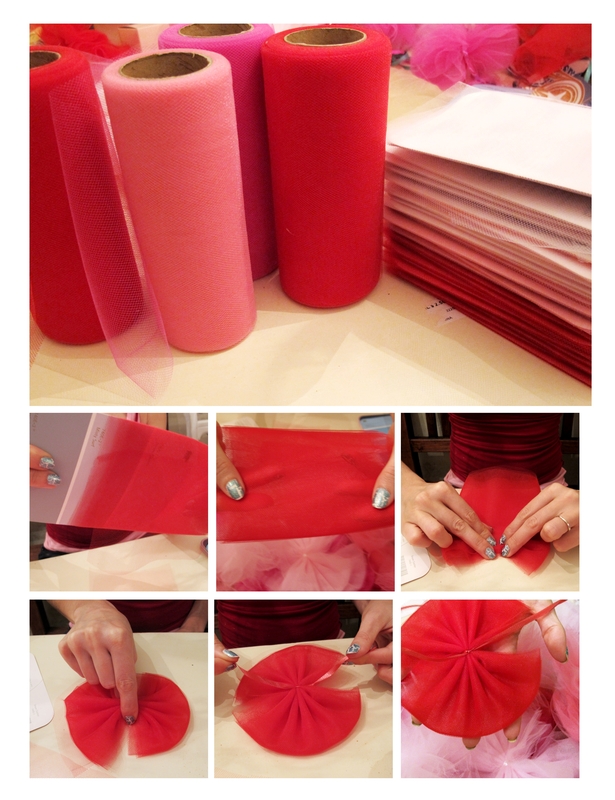 Now cut the sides with a scissor and fluff to get the pom poms. 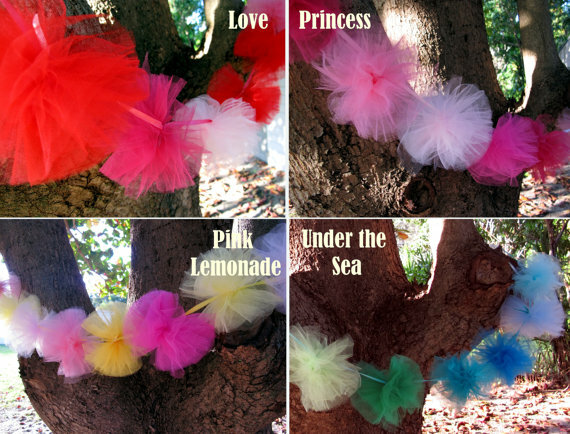 We tied 10 different shades of colored pom poms to a ribbon to make a garland. 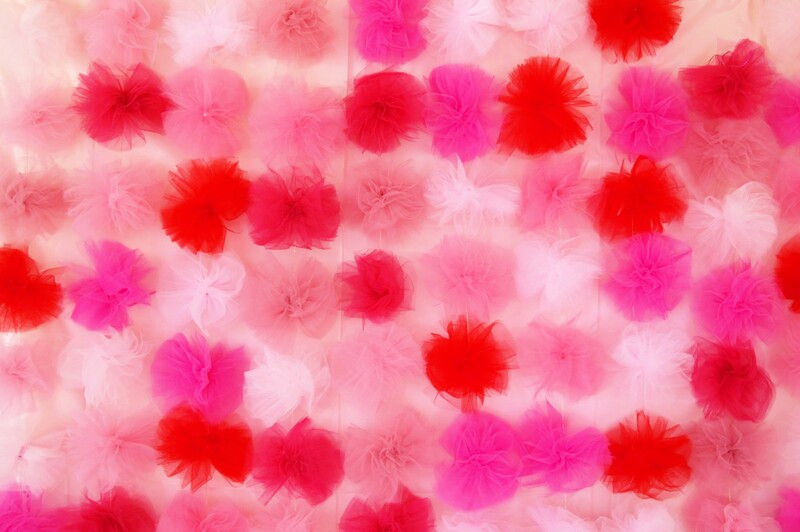 The great thing about it, is that you can adjust the spacing of the pom poms in the end and voila, there is your finished garland.